I would like to know if we can execute resp api query inside the curl command to create events such as VM create, delete, etc and get the response to the query I made through curl ? It's would be very helpful for us to help the client to automate the process of creating events/triggers through the Prism manually. Client has the Nutanix Prism and AHV in their network setup and creating these events manually. 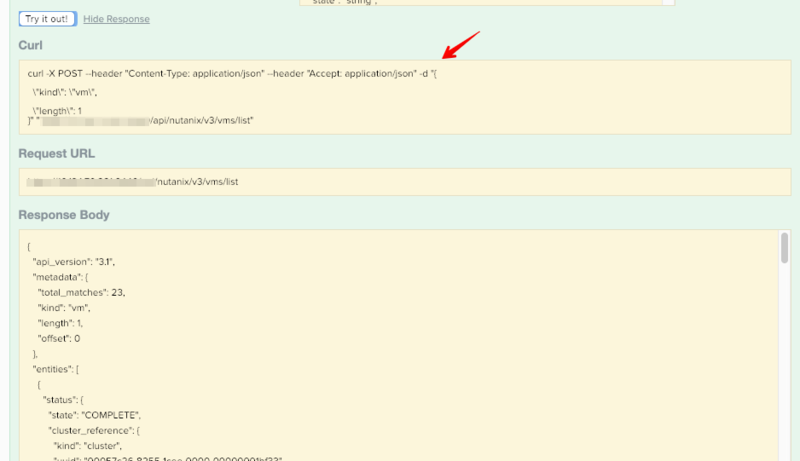 @danielnix got to REST API explorer in Prism under Admin's name, you have a list of rest api's. You can use one of the rest API and select the option "Try it Out" it will show a curl command that can be used from any linux machines.